How to become a better PUBG player is a question that rarely anybody asks, mainly because most of people believe that they are already excellent players. However, there is a number of people who actually wonder how they can improve their PUBG skills and get to the chicken dinners more often. There is no silver bullet, no secret tip to make you a perfect PUBG player. There are, however, a number of things that you can do to actually significantly improve your performance every time you jump out of the plane and dive to the ground. After following this game for a long time, ever since it was in early access, and having invested some 700 hours into it, I may not feel competent to claim that I am one of the best PUBG players out there, but I’m definitely feeling competent to divulge to you some of the best tips to help you improve your gameplay and your survival chances on the path to that glorious, tasty chicken dinner. You will not be surprised to see that the best PUBG players are actually YouTubers and streamers who have been playing shooters for a long time now, most of them even being extremely good in games such as CS:GO. They played these games for hundreds of hours, and that is the main reason why they are so good in shooters and in the battle royale games such as PUBG. If you want to become one of the best, you need to practice all the time! One type of practice for you should be to try and land in highly populated, contested areas, and fight for survival right there on the ground. 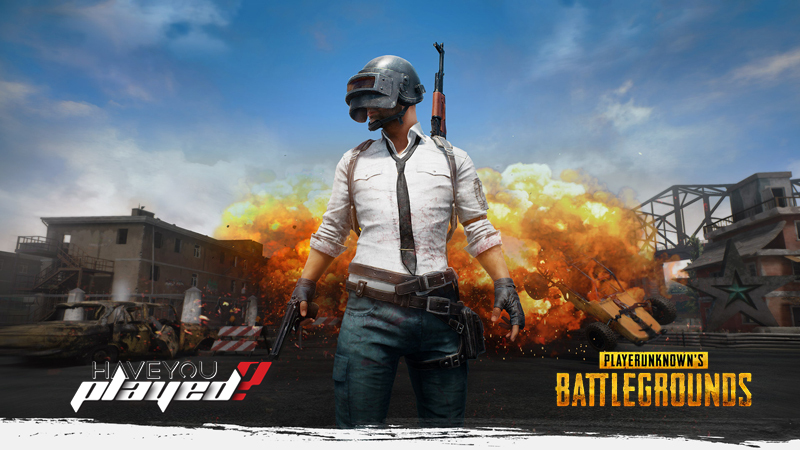 Jump to the school, to Pecado, to Hacienda, to the military base, get yourself into the thick of the battle, learn to react quickly, grab the best weapon there is, practice those flick shots with no aiming that enables you to survive at the opponent who is just a fraction of a second slower than you are. Yes, I know that this can be quite frustrating, especially at the very beginning when you die most of the time, but if you want to actually improve your reflexes and raise your response time, is your reaction and your precision, then these practices are really necessary. Ability to react quickly to every attack is probably the most important asset a player can have in PUBG. If you look at the best streamers out there, you will notice that many of them, just like anyone else, run around the map in search for loot in more or less the same paths and without being too cautious, but when they are attacked, they react really quickly. They are able to pinpoint the source of the attack within a fraction of second, turned around and shoot back, all a part of one reflex. It is all about how quick you are on your feet. You don’t think, you don’t plan, you practice and make let your reflexes take over. One of the most frequent mistakes I see with the players that they play passively. They hide inside the house, a bathroom, or a bush, and wait for the enemy to come. Personally, I don’t mind campers; if it is a part of legitimate gameplay, let it be. However, whenever I played like that, I found out that I would get rigid, complacent and my reaction time slows down significantly. Be aggressive, push forward, and always be on the move. If you want to compare it with sports, you can imagine an aggressive player always being warmed up and ready to run, while at the passive player cannot as easily jump up and engage into battle. Of course, in PC games the issue is more psychological than it is physical, but the principle is still the same. So, if you want to progress in this game, do your best to play an aggressive, active type of game. Say no to camping. Playing aggressively doesn’t mean play stupidly. It does not mean to charge every house, to run into every open piece of ground and forget everything about strategy and tactics. So, to have a perfect play style, you need to combine smart and aggressive approach into one. Your experience, the one that you gained practicing, will tell you what are the most common routes for players to take when their looting from one place to another. For example, you as a player should always remember in which direction the plane was flying at the beginning of the match when you dropped out. According to that, you can easily extract the probable area where people were jumping out of the plane, and assess which areas are more dangerous and which are more safe for you to loot. Be aware of the circle and your position on the map. Always be aware of the circle. Many players, including myself, have a tendency to lose themselves in looting and noticed that the blue wall has moved only when it’s really too late. Especially on larger maps, such as Miramar, you need to be aware how long will it take you to cross the distance to the next safe white circle. If possible, use a car, but have in mind that in the later phases of the match the car can cause more problems due to the fact that it is so loud and that it draws attention from other players to you. if you’re playing alone, the issue of finding the best loot is not as nearly as important as it is when you’re playing in a squad. When in squad, you will need to find sufficient gear and weapons for all the four members, whereas when you’re playing alone, you’ll need to find weapons and gear for yourself only! Therefore, it is advisable not to jump at any small compound with four members, because you might end up having people wielding shotguns and pistols only. On the other hand, if you jump into a highly populated area, at the very beginning of the game, chances are that you are going to lose at least one or two members of your team. This will significantly reduce your survival chances as well as your chances to get a chicken dinner. Best landing places for squads are those with medium loot and small to no competition. The best course of action when playing in squads is to find places with mediocre loot which are safer to investigate and plunder. This will mean that your squad will have all of its members alive and fitted out with decent gear. As you progress to the game, you will often find enemy squads of three or two players that you can easily pick off if you coordinate and play tactically. Now, these teams usually have good weapons and good gear, which they got by sacrificing their comrades. Your squad should eliminate the threat, med up and get their loot. Afterwards you can continue on and encounter other teams that like numbers that you have. Following this strategy, you can easily find yourself getting chicken dinners more often than anybody else. One of the most frequent mistakes I see with people is their wish to engage in a fight without thinking it through. They see an enemy 500 m away behind a rock and a start shooting right away. Needless to say, nothing comes out of it. You have just warned the enemy team of your position, as well as alerted other enemy teams in the vicinity of your existence as well. Even when using suppressed weapons the issue is still a dangerous one, because most of players have by now gotten used to the sound of suppressed weapons, and even become able to say what kind of weapon that is and how far away it is being fired. Choose your fights wisely, instead rushing into the fray. The best course of action is to choose your engagements wisely, and fight the enemy when they are in open field, without cover and preferably in situations where you and your team always have your back clear. Also consider, especially when you’re in a squad, that a fight can last a long, longer than you thought, and that 40 seconds fighting an enemy squad means that the blue wall of death is suddenly upon you. Not to mention that long fights attract way too much attention to your position.